Here at Century West BMW, we are proud to have a wide selection of high quality BMW vehicles, all of which exude the kind of regal beauty, and smooth driving experience, that you expect from a brand of this caliber. Just check out this video, highlighting the BMW M5 and its gorgeous design, and you will see the level of quality that these vehicles are held to. Furthermore, all of these vehicles are outfitted with the latest advancements in technology, so you can truly harness their power on the road. 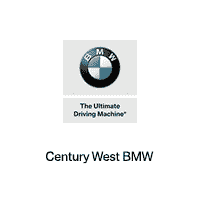 If you would like to learn more about our selection of vehicles we invite you to visit us at Century West BMW, located conveniently in Studio City, CA. Our team can assist you with all of your automotive needs, from purchasing to servicing. We also proudly serve drivers throughout Glendale, West Hollywood and Los Angeles.